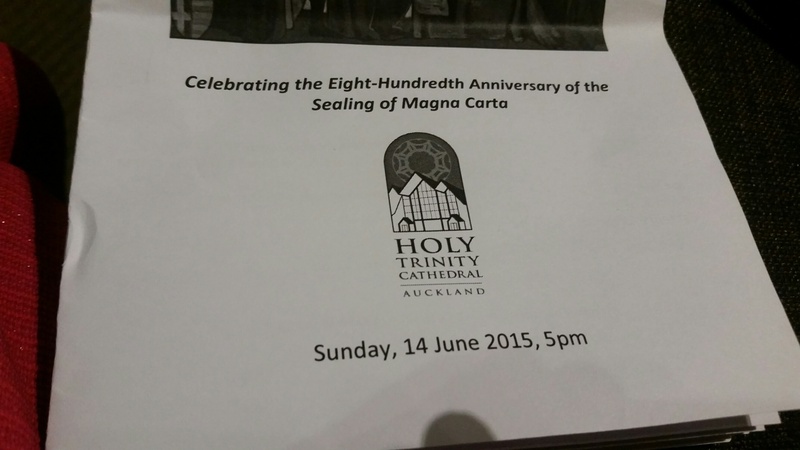 On Sunday June 14th, a Service of Commemoration open to the public was held at Holy Trinity Cathedral in Auckland by The Very Reverend Jo Kelly-Moore Dean of Auckland with the Holy Trinity Cathedral Choir to mark the sealing of Magna Carta 800 years ago. 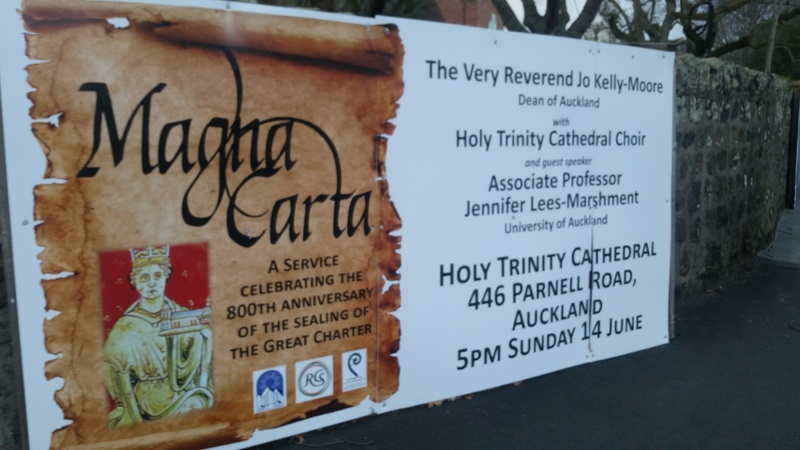 Dr Jennifer Lees-Marshment, Chair of the Magna Carta 800th Committee for New Zealand, and Associate Professor in Politics and International Relations at the University of Auckland, was the guest speaker. 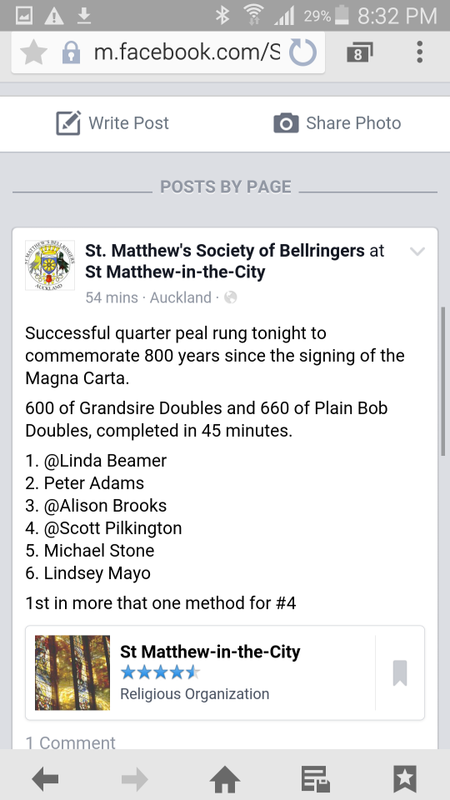 Her address can be viewed here. To see the event poster: click here. 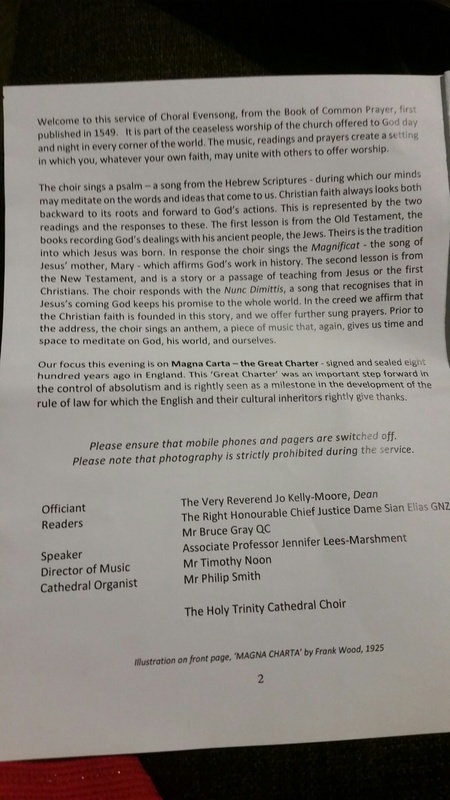 Chief Justice Dame Sian Elias attended the service and did one of the readings. 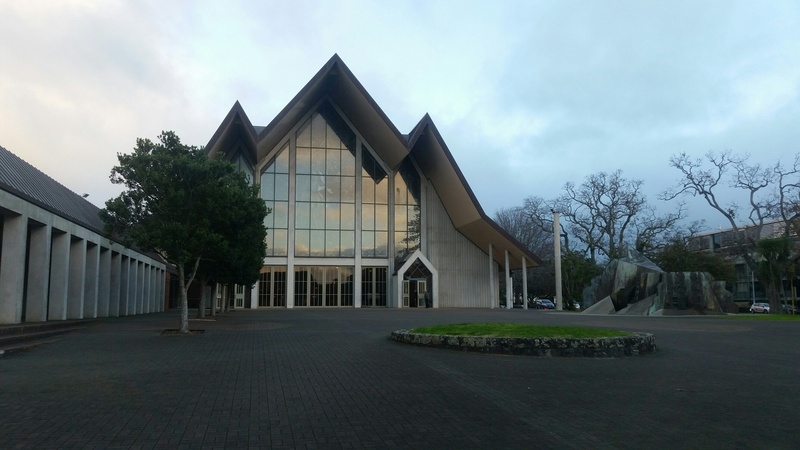 The Chief Justice will also be a speaker at the Magna Carta lecture on “Magna Carta & the Kiwi Constitution” at the University of Auckland on July 6th: Click here for more information.